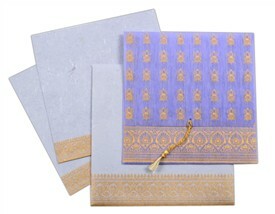 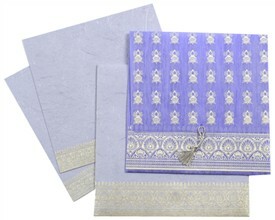 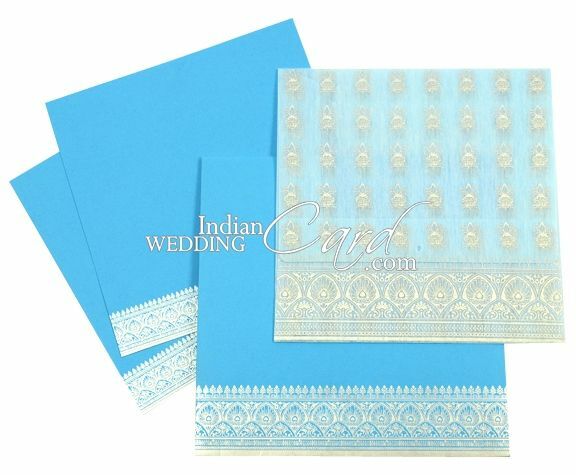 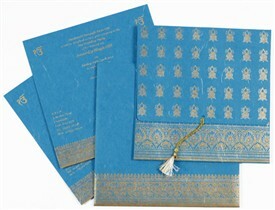 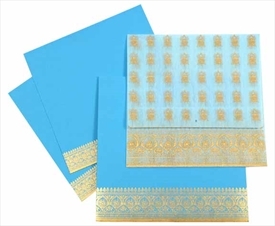 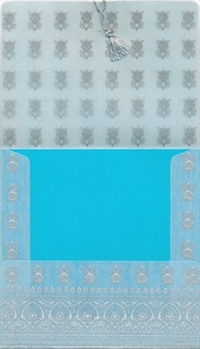 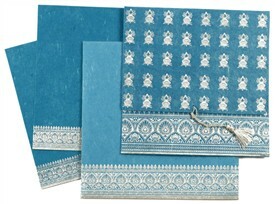 D-5888, Blue Color, Hindu Cards. 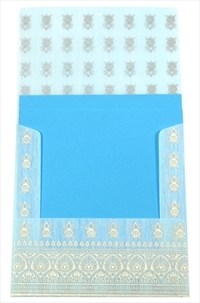 The front of this card has the upper fold with a base design of silver kalash symbols and a zari tassel with pearl hanging from the bottom. 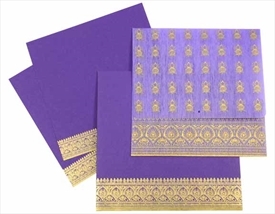 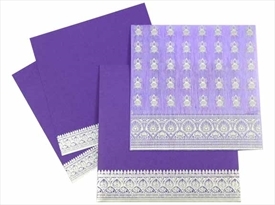 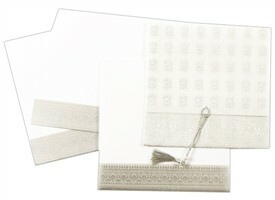 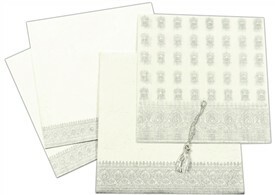 The lower fold of the front has a very ornate border design is silver. 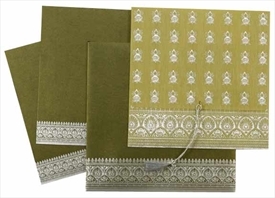 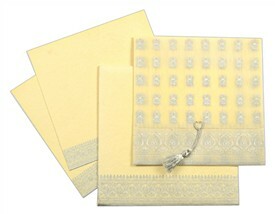 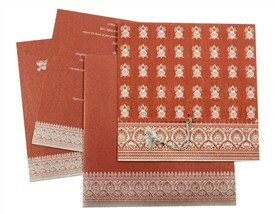 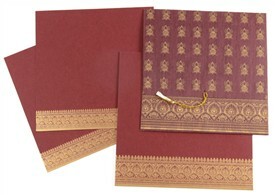 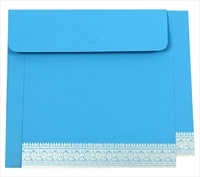 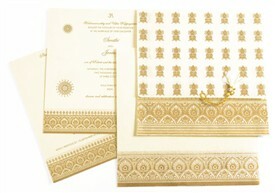 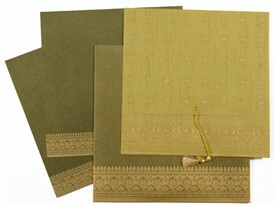 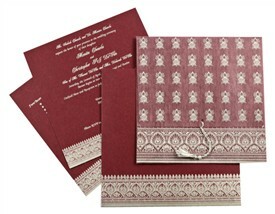 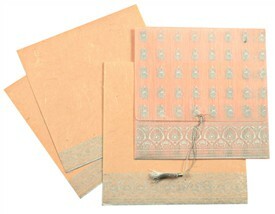 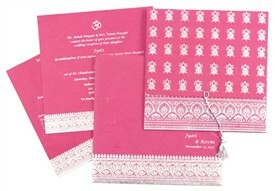 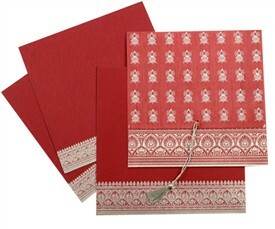 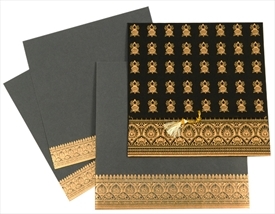 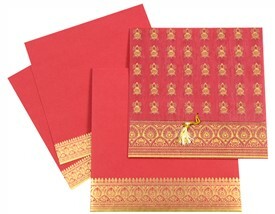 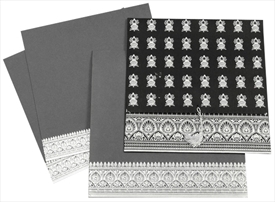 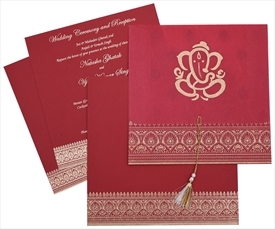 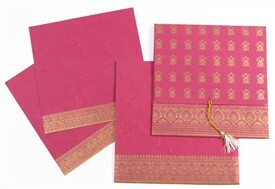 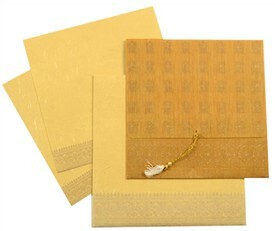 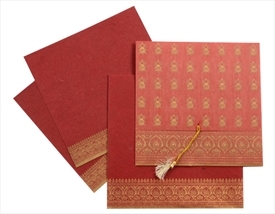 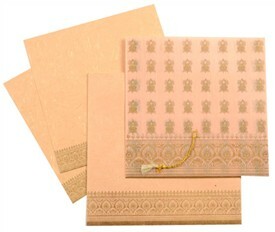 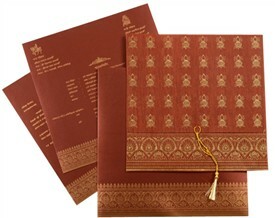 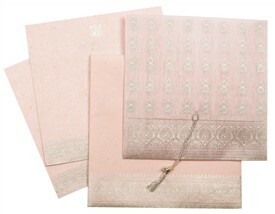 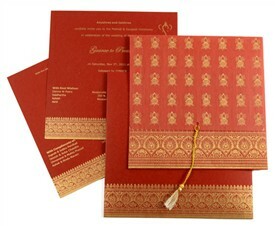 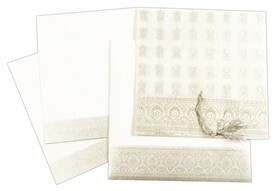 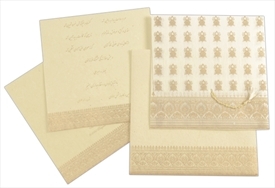 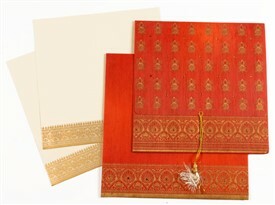 The inserts have border design similar to the front’s lower fold and so does the envelope.